Ness was thinking. He didn't like the idea of telling everyone here that life as they knew it was over. He knew what frightened people, especially ones with super powers, could do "I don't think that's a good idea, but if we can't fix this, we might have to..." he says, thinking of ways to turn the space station into a ship, if needs be. "But how do we fix something that happened in the past?" Will asks, he was feeling like he had failed the Earth and her people for not being able to stop this mess. Jason frowns "We have to do some fancy time traveling." he looks over to Ness "And that's where our seemingly young friend comes in." Anita shakes her head "Looking for ruble, Might have been the wrong word." she says as she follows Manny "Ness doesn't Look for trouble, he looks for people who need his help. Trouble usually follows close after." she says "He once said that Batman could Always tell something bad was goin to happen in Gotham when Ness showed up." she chuckles lightly. Amanda was staying close to Samantha and her family. She eyes Monica when she moves close. But in truth, Amanda wasn't looking at Monica, persay, but rather the gem Monica was carrying. Amanda wanders over to Monica "You know, you might not think too highly of my sister, but it's clear she thinks quite highly of you." she says, nodding to the gem "Otherwise she wouldn't have given you her gem or would have reclaimed it when she got back." she points out. Calvine had a idea of what Jason was saying. "Problem with Ness' portals is they're a crap shoot. It's better then nothing though." "Hm? He met Batman too? I guess I shouldn't be too surprised, he did seem to know a lot about the super hero thing. I guess I'm more surprised they're a real person somewhere.." It made more sense why they seemed to know a bit more when they met Jack and the group for the first time. When they reached the mess hall, according to the pad they had this food replicator. It was different then what he was used to, however, he was used to being around ships and such. It wasn't entirely new even if some of the technology was, it helped the pad had everything that was needed. He got some type of soup for himself and Michru, and sure enough it appeared like magic. "I wonder how this works, even in Alus they don't have anything like this. Help yourself if you want it." He moved aside so Anita could use it as well, if she wanted. Monica really didn't want to talk about Cedrick, she surprisingly or not didn't have ill will towards them or, she was just done with them. She didn't entirely believe Amanda, or she wouldn't have backstabbed her or Ness do what she couldn't just a day or two. If anything, it was him not her. "Maybe so." Monica said diplomatically. She had noticed Adell had one of those gems, hopefully he knew what he was doing. "We met very briefly before I left, your name was Amanda right?" Ness nods "While I wouldn't say they are a 'crapshoot', it's a very good bet that they won't take you to where you want to go." he says. Jason nods "I'm aware of that. I also know that Lee and Dino made you a device that would allow you to control it, enabling you to where and whenever you wanted to." he points out. Ness nods again "That's true, but I burnt the last one out getting the USS Voyager back to the Alpha Quadrant." he says. Jason nods again "I know that as well. I also know how to Make one of these devices. However, I'll need your help getting the stuff to actually make it." he says. Ness thinks for a bit "Anyone who uses it, is going on a one way trip, because after I use it the first time, it'll burn out." he says. Jason nods slowly "Let's worry about that After we make the device. I'll get to drawing up what we need." he says as he heads out. Anita nods slightly "If I've learned anything from Ness, it's that Everyone and everything is real in another dimensions somewhere out there." she chuckles. She orders a sandwich "I've heard Ness and Calvine, his friend, talking about them before. They said something about using matter packs that the reconstitute into whatever you order, be it food or clothes, or whatever." she says with a shrug "I wasn't Really paying attention." Amanda nods, holding herself a bit higher "My name is, indeed, Amanda." and just like Monica had done, Amanda shifts the focus of the conversation off her "Did you know that both you and Cedrick now share a bond?" she asks "It's because of the gem you both had.Though, wat the nature of this bond is, I honestly can't say." she says lightly, as if trying to give the impression that she knew more than she lt on, but didn't feel the need to tell what. Calvine took the pad from Ness nodding. "So you planning on trying to make this station into a ship? Interesting, think it can be done. Can't speak for anyone else but wouldn't be our first rodeo so to speak. I can work on it; KOS-MOS around the autobots too?" Emanulle wondered if that meant whenever someone wrote a story, they were creating a dimension, or rather the ideas were just coming from somewhere else? It was interesting to think about, it reminded him of Buddhist or something similar of the thought of someone's dream eventually becoming its own reality. He wasn't entirely certain if that belief was of that faith, but it sounded close. "Something to talk to either about later if I have the time then." Emanulle said as he got settled down. "If you don't mind me asking, what do you do for a living? Before I ended up joining Jack's group, I was a prince. More a figure head really, they don't do as much anymore so I ended up leaving to earth. I don't think Monica would have cared for it either if her mother had stayed. She's actually trying to be a dating coach or something along those lines last she said." Monica didn't have much to add, but she needed to say something "That's interesting, guess it makes sense with it being part of Regina's power." She wasn't entirely sure what exactly was going on, but the gems did attract trouble. Maybe not harmful trouble all the time, but it did make things more lively then what she would have wanted; something she was sick of. Oddly though, it hadn't effected her what so ever when she dimension hopped for months. Maybe it was just bad luck. For now, considering she didn't know what was going it be smart to keep it if she needed it. Once the mess was settled down, and if it was safe to do so, she let Cedrick, Anita or Amanda have it. Her adventure days were over. "Monica? Could you look after Chris for a bit? They're on the sleepy side." Her mother brought Monica's attention to the two, and she nodded, going over to gently get Chris. "I'm gonna tuck them in and be back in a minute. It was nice properly meeting you." Ness nods "Yeah..." he says as he motions for Calvine to follow him over to one spot away from the small group on the bridge, taking note of where everyone was "after the tachyon wave hits, which is very soon now, it'll undo everything will did as kami..." he whispers "take a moment to think about what that is. ask him if you need to..." he says, moving away. Anita raises a brow "A prince, huh? Very fancy." she coos "I'm in law school now. But before that, I was just a vigilante, doing stupid tings and almost got myself killed." she says "I guess being the daughter of a goddess doesn't make me invincible..." she chuckles "So now, I want to do things the legal way. No taking chances that shouldn't be taken, for me." Amanda was Slightly irritated that Monica had called her bluff. Still... "But there's something strange about your gem. It's blue, no red like mine, or any one elses. I'm not certain what that means either." she says. "I know." Cedrick says. She had come down from the bridge after it was decided what hey were going to do "It means that the power she uses from that gem, is her own." she says, looking over to the two young women "Hello, sisters. Are you finding everything to your liking?" she asks. Calvine did wonder of all the possible changes, he knew Will was the creator of the Mystics so his friend Alister as well as the Mysyics wouldn't even exist. That was bad enough, but there would be other ripples. After the talk, he went to talk to Will. "So something I wanted to ask, if this thing undo's all your work as Kami, what would all the changes be on the top of your head?" For the first time, Michru spoke up since sitting down. "Could I be a nurse?" Emanulle smiled but nodded. "Of course you can. I might be your parent but once you grow up you can do anything you put your mind to." He then answered Anita. "That's interesting, we have a Egyptian Demi Goddess on our team named Ramona. Though, its a good profession you took to studying to since its something that's always in demand. You can also help a lot of people that way like Espen, if that's your goal depending what kind of law." "It's been fine..." Monica said, glancing at her gem. "So if it mine, does it mean it doesn't have the chaos aura thing? Maybe something else?" Will shakes his head with a frown "There hasn't been Too much for me to do, since others have taken care of everything that would need my attention." he says "I've trained a few important people and granted a few important wishes. The main ting I did for the world, was drive the Space Pirates away when they came looking to have their wish of ruling the universe granted." he says with a shrug "I guess if there's no Dragon Balls, they'll be no Saiyan attack an no Pirate invasion." he says. "Also, please exercise some Tact in the future, if there is one. I just learned that everything I've done, everything I've worked so hard for, in the last decade, will be gone in a few hours" he points out "Please keep that in mind next time you ask something as insensitive as that." he mumbles as he heads out. Christine walks over to Calvine "Try not to hold that against him. He's really a great guy." she says "Funny, for someone who just learned they're goin to stop existing, I'm oddly calm." she says with a smile "I'll, be seeing you." she wanders out as well, leaving only Calvin in the control room. Anita nods "Well, yeah. That's the general idea. Once I'm bar certified, I'm going to see abut getting an internship with Espen's firm." she says. It didn't surprise her in the least that there would be other demi gods out there. After all, there was her family and Abraxus. Both Amanda and Cedrick shake their heads "Not likely. These gems were created From chaos. It doesn't matter what's powering them Now, they'll always have that hint of chaos to them." she explains "It might not be to the degree that Cedric and myself experience it, but you'll have Some chaos in your life, thanks to that little beauty." she says with a nod "And with that tiny pinch of chaos, comes the attention, protection, and guidance of mother." she says with a slight smile. Calvine mentally shrugged, not bothered by it. Seeing as there was nothing for him to do at the moment, he left. If he wasn't an married man, he'd probably try his luck with Christine since he found them attractive but that wasn't the here or there espeically with Angelique being a bit more distant both physically and emotionally as of late. "It'll be hard work, but I'm confident you'll be able to do it." Monica spoke very highly of Anita, he was pretty sure it was for a reason. After a bit Michru yawned a bit. "Tired? We'll get you tucked into bed after we're done." He on the other hand had no plans of going to sleep that early and he wanted to see more of the station. The finished parts anyway. He wasn't worried about Michru's safety because he knew about everyone here. There were still worries and concerns, no one had any idea of what was going and those who did weren't saying anything just yet. The few people he did have a connection to he hoped would be fine from whatever it was, it was too bad Buddy couldn't come along as well. However, as that was out of his control he'd just try to enjoy the moment. "If you want after I tuck Michru in we could explore the places that aren't off limits not sure if you have any plans.. I've been in space stations before, but this is a unique one for me probably has to do with Ness' dimensional travel knowledge." "Noted." It gave Monica something else to think about. She looked down at Chris. "We'll, I'm going to get Chris put to bed then get to bed myself. Did you two want anything before I head off?" Anita chuckles a bit "Yeah. If knowledge was truly power, then Ness would have very few rivals." she says. She looks around,then nods "You know what? I'd love to go exploring the station with you." she says with a smile. Cedrick shakes her head "No, but thank you." she says "I have to have a talk with Amanda about some things." she says, her usual icy tone in her voice. As Cedrick drags Amanda away for a little 'Sister time', Ness was waiting for Monica "He there. Mind if I walk you to your quarters?" he asks. Emanulle was happy to hear that because he liked Anita's company and wanted to get to know them a bit more while he was on the ship. We'll, station. Sometimes it reminded him more of a ship then a space station but he wasn't really entirely sure why. Once he got where Michru would be resting, he tucked them into gently before exiting out. He wasn't entirely sure of where to go next, so he looked briefly at the data pad. "Any preference where to visit first?" Monica wondered what that was about but shrugged it aside as she went to tuck Chris in and get some sleep herself. Ness was waiting and asked to walk with them. "If you want to." She had a feeling he wanted to talk to her about something. Anita looks at the data padd "I want to check out the holodeck." she says "I've been on one before, I just want to see if it's the same design." she says, not telling him what a holodeck was. She wanted it to be a surprise. Ness leads Monica to her quarters "I'm glad you're back. It's almost like getting the band back together." he chuckles "Listen, don't let this one incident ruin your return home. Stuff like this Rarely happens anymore. in fact, Earth is relatively peaceful now-a-days." he says as he stops by some doors "This is you guys. If it's too small, let me know and I'll assign you guys new quarters." he offers. He of course had went to one too, but he was curious if it was different at all from the one that was set back at base. Only one way to find out. "That could be fun. It's only one so hopefully no one else is using it." He was sure that would be changed. "Really? Sounds different then what I'm used to.." Then she shook her head. "No, but thank you. Have a good night." Making sure Chris didn't wake up, she headed in to get some sleep, having some things to think about. There was nothing Cory could do for Kyco, so he left that matter in her mother's capable hands before leaving the two in their room. She was really worried about the others that had been left behind. No one knew what was going on save a few, and no one was saying anything but it was obviously really bad if it caused Christine to leave so suddenly. Speaking of, he didn't have a clue of where she was but she could be with her old man or brother to anywhere else. Regardless, he wasn't in a hurry and had nothing in particular in mind. The only thing that surprised him was sensing a normal Heartless and one of his and Kyco's kind around here. One had been glaring at them but he hadn't paid them any attention what so ever, what strangers thought of him in his mind didn't matter. Kyco was more sensitive to that sort of thing, only the stressful situation distracted her from it. Those who had been left behind could take care of themselves, even if it didn't entirely absolve the uneasy feeling in his gut. With the help of the data padd, it didn't take Anita and Manny long to get to the holodeck. It wasn't in use at the moment. 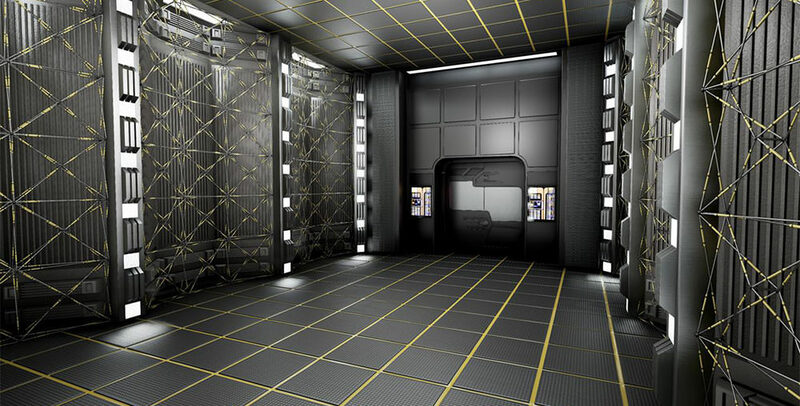 Once the cargo-style door opened, it became clear that the Viceroy Holodeck was pretty different from the Base Holodeck "Are you ready to have your mind blown?" Anita asks. Ness wanders off to go help Calvine get the engines ready, but stops short. Something didn't feel right. All his instincts were telling him something. So he wanders over to a control panel and taps a few buttons, which cause all the shutters on the stations windows to close, blocking the view of space. He thumbs the com "Attentions passengers, this is Ness. As you can see, I have closed the shutters to the windows, as a solar storm is approaching." he says, clearly lying about why they were closed "We are perfectly safe on the station, so long as we don't look outside. The storm can cause nausea from the unusual movement of the particulate matter passing through space." he explains "It'll pass within a few hours. A Day at the very most.". He taps his combadge "Buddy. How are you adjusting to your new home?" Ness asks. "It'll take some getting use to, but I'll manage. What can I do for you?" the bases artificial intelligence program asks. "Can you roust the senior staff? Tell them 'It's time'. They'll know what it means." he says. There was a pause "Right." was all Buddy says, before he sends a message to Jack, Jason, Cedrick, and Calvine. It said to meet Ness in C&C. Alice decided to ignore the other Heartless for now and focus on helping those who needed it. Like Jack had taught his team. Some of the civilians might not be handling the change from being on a planet one moment, to being on a space station the next. She knew her team was doing the same. At least, she knew that Samuel was making food, if they didn't know how to use a replacator. It was different, at least in appearance but he doubted it be that much different in actual practical use. Time and experience would tell. "What's life without a bit trying new things? Ready when you are." He knew what a holodeck was and of course had used one but since Anita proposed and had something in mind he went along with it. Besides, he didn't yet know if it was different from his usual experience with them; he didn't spend much time there for the most part. Calvine got called, he had No idea what it was for this time, but never the less he responded. It was that young woman again, but Cory didn't pay them any mind as he went along his way, she wasn't who he wanted to see anyway. He Could, however, maybe get something to eat before he headed to bed. Not likely he would with so much in his mind, but it help. Anita shrugs "I have no real preference at the moment." she says "What about you? Is there any place you've ever wanted to visit or see?" she asks "A movie or a different planet?" Ness and Cedrick were waiting for the rest to arrive. Jack was the last one to show up "So, what was that cryptic message about?" Jack asks. Ness brings up the main viewer. It showed an image of Earth. At an alarming rate, a strange wave of energy seem to pass over the Earth, causing it to change from a beautiful blue marble in space, into a dull blue orb. Ness checks something, then taps a couple buttons "The tachyon wave has hit. Earth is now different. Changed to reflect the new timeline." he says. Will frowns "What's happened to the Earth?" he asks, feeling a pit in his stomach. Ness doesn't answer right away, still checking some readouts "The cloaking device is up and running. We won't be detected." he says. He looks over to the others "There are only about five billion Terran life signs down there and over two million Zebesian life signs." Ness says "The Earth's atmosphere is heavily polluted by the invading Space Pirates." Will frowns "But why are they there? Without the Dragon Ball, nothing on Earth should have caught their attention." he says. Jason shakes his head "It wasn't the Dragon Balls they were after. It was a young woman who has the ability to grant wishes, is what they were originally after." he explains "Without Will, there was no one to dive them off, after they landed." he points out. Samuel was, of course, in 10-Forward, making food for those who didn't want replicated food, but home cooked stuff. Well, as home cooked as he could get on a space station. He looks over to Cory "Ah, young Christine's friend. How may I help you this day?" he asks. Hm. In that case, he decided on a few things of where to go. They could do a movie but why go small when they could watch one anytime? Far as planets he had seen his share back when he was a prince, though there was one he wanted to visit. Though maybe starting off to something he knew would be best. "Far as planets go, one I wanted to visit was called Jurai but never really had a chance to even when I was involved in politics." He paused a bit. "Though since my knowledge of that world is limited, I think its best we catch a movie. I want to see Gone With The Wind. It's old, but its because of that I've never seen it." This was bad, but it also wasn't an surprise. Seeing his home in its current shape really bothered him. "That young woman wouldn't be happen to be Cinda, is it? Me, Ness and one other ran into them a long time ago. It was the cause of reviving those who fell during the attack to come back to life." "Only thing is, is if their target is still on this planet." "Evening." Cory greeted them. "And you call call me Cory. I was just looking for something like to eat before I headed to bed. Have a lot of things on my mind and sitting idle is never good for it.. I don't think I caught your name." Anita nods. That movie was over a hundred years old, but if he wanted to watch it. In truth, she never seen it either. But unlike May, she had no interest in it "Did you want to watch it, or play a character in it?" she asks with a wink. Ness shakes his head "No Hylian signatures detected. I can take a closer scan, but that could attract attention." he says as an image a Space Pirate mother ship pops on the main screen. Jack did Not look pleased "So what are we going to do about this situation?" he asks "I can't accept the fact that twenty-five percent of the world's population is gone." he points out "No way am I going to let that slide." "Ah, that is because I did not throw it, my friend.. he chuckles at his joke. This being the second time he was able to make it "A jest to lighten the mood. I do apologise." he says, handing Cory a plate of food "My name is Samuel. I am one of Jack's teammates." he says "Doing what we can to make the lives of others as easy and as safe as we can." Emanulle smiled a bit. "That could be interesting to play a character in it but neither of us know if we'll even like it so watching seems a better bet." "Only thing I don't get IF they know Cinda isn't there why they're still there? Earth doesn't have any resources they'd want or need, and its not a strategic location either.."
At Jack's word, Calvine thought for a moment. "From what is going on, Will and such can't leave the station without vanishing so that part is out. We could form a resistance group but we'd need to be careful." Other issue was Jack's group didn't kill, not a knock against them but war time was a bit different with a large invasion occupying force espeically. It was either a way around it or it was different, hopefully. "Nice to meet you." Cory politely took the food, it was really good. "It's not my first time being on a space station but this time its hell of a lot more pleasant. So what its like being part super hero group?" Cory didn't consider himself a hero of any kind, he did to what he felt needed to be done or what he thought was the right thing. When he was passing through, he didn't go out of his way for it. Anita nods as she programs a movie theater in, which appears after the room shimmers a bit "How's that?" she asks "Pretty impressive, right? 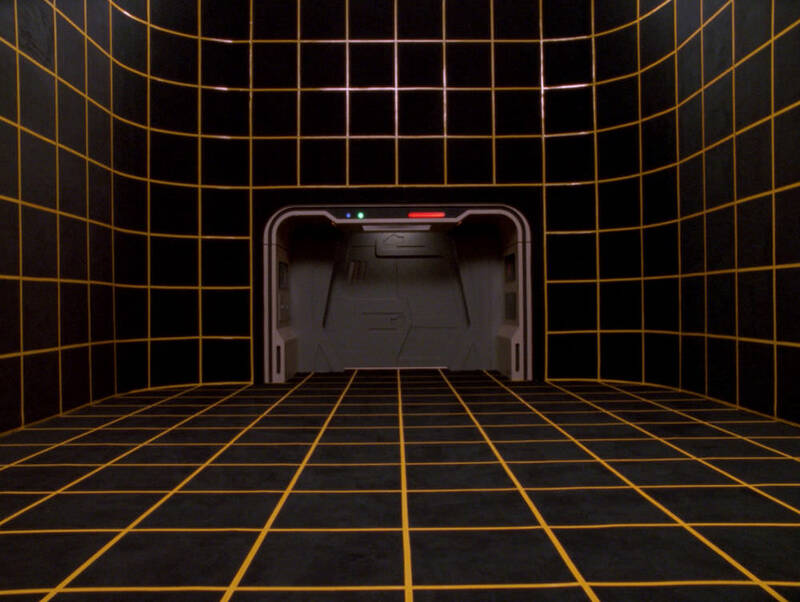 A holodeck can make anything you want, so long as it's programed in." she says as she gets some popcorn and drinks forthe two of them. Ness slowly shakes his head "Earth has one resource that's hard to come by. One that'll make them plenty of money..." he says slowly. This gets a furious look from Will "Humans. That's why there was a massive population drop." he says in a pissed, but restrained, tone "They're selling us off world as slaves." he points out. Ness nods "And in the mean time, they'll strip mine the world for whatever else they can get and the Galaxy Police won't do a thing to stop them, because Earth, and the Sol system, is out of their jurisdiction." he explains. "As for Jack and Will, they're all safe. After the distortion wave passed and history changed, they were no longer in danger of disappearing." he says. Jack slams one fist into another, his muscles were straining "That means there's now nothing stopping us from taking our planet back." Ness holds up a hand "Hold up, there muscles. We need to be careful about this.The Space Pirates have technology that can be deadly to even someone like you." he points out "Not to mention they've had five Years to dig in here. If we're going to do anything, we need to be careful about it." he cautions. Sam thinks for a bit "It is, mostly boring patrols. But every so often, there is some excitement." he says, handing a plate to someone else "Right now, I am, less than helpful on the team, aside from being the cook." he chuckles lightly. "It is." Emanulle agreed, taking an experimental bit of his drink. "And it does oddly enough taste like the real thing. I'm not going to pretend to understand how they managed to do that with basically probably light constructs." He decided to find a seat for them, which was easy since it was talior made For them to use. "Galaxy Police been hit or miss even the places they work at.." Calvine mumbled a bit before shaking his head. "And you have more experience then anyone I know of here, Ness. So what do you suggest we start with?" "I'm guessing its an power thing?" Cory asked. "If it's that case, there are plenty of ways to improve your skills, or learn new things if you don't think your natural ability cuts it anymore. I'm probably not telling you anything you haven't already thought about though." Anita actually knew the answer to that question "Oh, I know this." she says "Stuff like food and clothing are actually replicated matter, meaning they're real. People and environments are photonic energy, encased in force fields." she explains. That made Ness feel all warm and fuzzy inside, to have someone actually remember that he has almost a Millenia of experience in situations like this. "Okay, in a situation like this, we need to scope out what we'll be up against. he says "I would recommend a small team. Maybe three people. Me, Jack, and maybe one other. Not Will." he says. Will, who was already pissed, slowly looks over to Ness "And why Not Will?" he asks. "Because the Space Pirates are almost Masters of reverse engineering energy patterns and if you need to use your Ki energy, and I'm certain you will, Will, that'll only Help the Space Pirates." Ness explains. He nods to Jack "Jack is Constantly using different types of energy, making it almost impossible to pin down a single type. They can't seem to lock down mental energy as well, meaning it would make sense for me to go as well..." he says. Jason steps forward "Then I'll round off the team. If they can't seem to lock down mental energy, there's no Way they'll be able to get mine." he points out. Ness nods "That'll about do it. Now, the problem becomes how to get Down to the planet without being detected." he says. Jason looks over to Calvine "It's going slowly. I can see why Lee and Dino were the ones to make this and not anyone else." he points out. Sam nods "That is, indeed, the reason." he says, still smiling to those needing food "You see, I work with such amazing people,who can do all manner of incredible things, and than there is me. The only thing I really bring to this team, is moral support and the occasional meal." he says. But what he Didn't say, was that he was working on fixing that. "I wonder how far off some of the races are to doing things like this. There are so many applications for this. And they managed to do this in just two months or so." He'd wonder about that later in depth, right now he was here to enjoy the company of beautiful woman. "So if this movie possibly cans, what kinds of movies are you into?" "Figured. It's never that easy..." Calvine turned to Ness. "If that's the case, then Will wouldn't have been able to run them off last time right? He uses Ki but it still should be classified as divine Ki. So they shouldn't be able to do anything unless he's using it seperate. They're advanced, and while there are some races advance enough in the wider Omiverse that can do stuff even with divine energy, the bugs aren't one of them I think. They shouldn't even be able to pick it up." Cory caught onto that, but he didn't press. Sam on first impression seemed to have an okay head on their shoulders. "I'm sure you'll figure things out. In the mean time I'll leave you be. You haven't seen Christine pass through have you?" Anita thinks for a bit "I would have to say, fantasy movies do it for me." she says "Sifi movies are good too." she says as the movie theater darkens as the movie starts. Ness sighs, shaking his head "Fine, whatever. You clearly know more about what's going on than I do." he says as he starts out "This is how most disaster movies start, you know. With no one listening to the one who Clearly knows what he's talking about." he wanders out of C&C. Cedrick looks over to Calvine, but says nothing and heads out. Jack watches them, before looking over to Will "That's true though, isn't it? If the Space Pirates Could have turned your attacks against you, they Would have, right?" he asks. Jason shakes his head "Don't forget, that was a small invasion force compared to a large occupation, with the full resources of the Zebesian army." he points out. "Besides, you don't know the full facts about the situation, Ness apparently does." he says to Calvine. Jack frowns "Then by all means, fill us in." he says, crossing his arms. Jason sighs "What you both don't know, is that all along Will's spine are special glands that are tied into his nervous system, allowing him create, channel, and absorb electricity and plasma..." Jason explains "That's why he can do the cool things that he can. You also have to remember that Will is a Minor deity, meaning he has the weakest of divine energies." he points out. Jack shakes his head "That shouldn't matter. He still uses god energy like normal and they still shouldn't be able to detect it." he fires back. Jason nods slowly "Normally they couldn't... If, as Ness said, they weren't pretty much masters of reverse engineering energy types." he says "If given enough time, and ironically enough, energy, they might even be able to reverse engineer Mystic energy. After all, it's hard, almost impossible, but not Completely out of the question." he states. "After all, we all had just Witnessed our history change right before our eyes. Are we Really questioning what can and can't be done?" he asks. Jason starts to head out, but pauses "Something to consider, if the Space Pirates Couldn't, somehow, map out divine energies, than why do they want Cinda so badly for One wish they couldn't possibly get?" he asks "Don't underestimate these 'Bugs'. There's a reason they are feared throughout the galaxy." he points out, before heading out. Sam shakes his head "I have not seen the youngest Winters sibling around." he nods to his combadge "Why do you not call her? I am certain she could not have gone far." he says. The movie, at least at the start wasn't to interesting to Emanulle. He wasn't sure what he had been expecting though. Calvine didn't get it, it wasn't like he was saying to rush down and ignore what Ness said he was just pointing out something. If he was wrong, he could be corrected but if you had something to say then the meeting area for this sort of thing. He wan't sure why Ness just left instead of talking to him like an adult. He was the most experienced, and therefore should have the most weight, but it didn't mean everyone had to be quite because even the best can miss something at times. "If all that is true, which I don't doubt it is given Ness experience, then team compisition should be the same. I'll see you two later.." Calvine mumbled and left as well. Cory nodded his thanks to Sam and went about trying to get a hold of Christine. He more wanted to see how they were holding up, she was probably doing far better then Kyco knowing them. Anita seemed pretty engrossed in the movie, at least for the moment. Though, she looks over to Manny "If this movie isn't to your liking, we can go for a different one." she says. Though, she wouldn't know what one he wanted to watch. Ness was a bit annoyed. He didn't expect Calvine, his friend, of all people, to question his intelligence about this subject. And the way he stated his words, was like he Knew what the Space Pirates could do, over what Ness knew they could do. Still, he was annoyed. But that was all. Calvine didn't know what the Space Pirates could really do, because he never fought against them. Not like Ness had and Ness had seen, first hand, what the Space Pirates could do if given the chance to. But being annoyed wasn't the real reason he left. To him, the conversation was over. Ness knew what needed to be done and he now had an idea on how to do it. It might seem petty, but that's how it was. You were either right or wrong. And right now, the Wrong thing to do was to beam down. 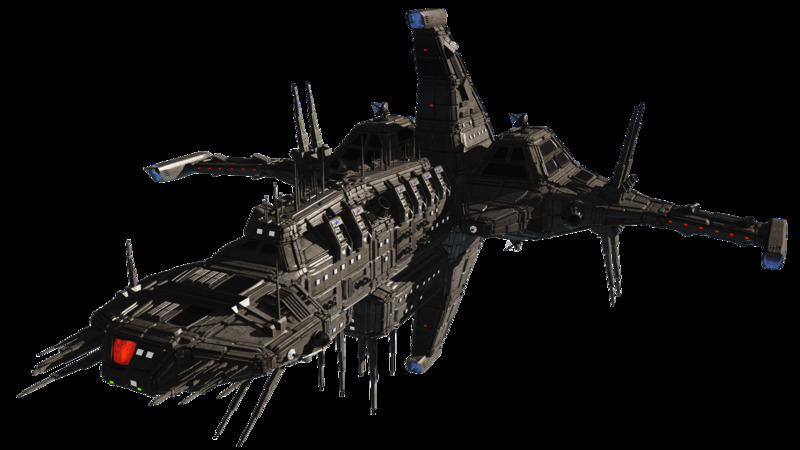 The Right thing to do, was to retrofit the shuttle with a cloaking device and take that down. After the last person was fed, Sam cleaned and got himself a plate to eat. He could have to check on his order after they get back to Earth. If everything was how he asked, he would be able to pull his weight in the team again. Christine didn't answer her combadge "She's sleeping." Buddy says to Cory "Though, I don't think she would mind the company, if offered." he says.